Surprise and delight at every angle. This gorgeous platinum eternity band features a neat row of Asscher-cut diamonds framed by milgrain detail. 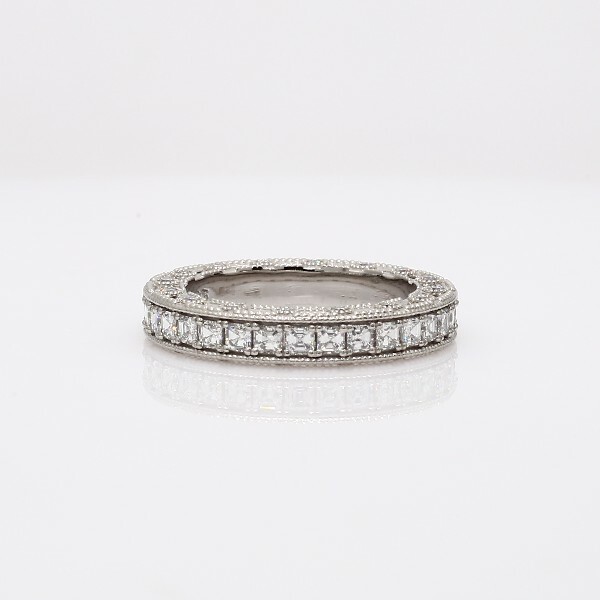 A ring of round diamonds flank both sides of this singularly stunning piece.